Village signs is a series of caches based on the ornate signs that depict the heritage, history and culture of the villages that put them up normally on the village green. Finningham is a scattered village of about 410 residents. The name is thought to mean the Village of Fina's People. 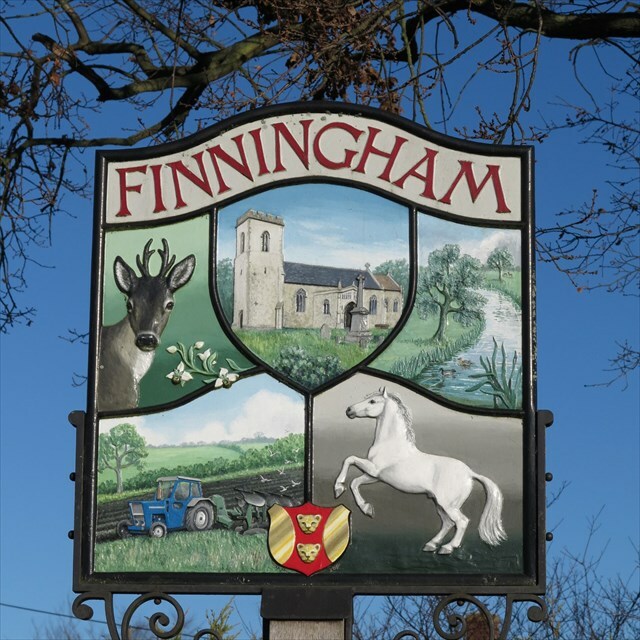 Finningham was mentioned in the Domesday Book of 1086, when the population was 37 1/2! The village boasted many trades over the years with bootmakers, harness and sadlery, a forge, millers, rope making, wheelwrights and two public houses. The Village Green is in the centre of the village, once belonging to the Lord of the Manor, now in the care of the Parish Council. Until 1871, an annual two-day fair was held there. Cattle, hardware, pedlary and toys were traded , as well the hire of servants and labourers. The village Schoolroom was originally situated on the Green as part of a building attached to Green Farm Barn; 42 pupils attended in 1818 and were charged 2d a week. The school closed and was re-opened in 1874 further out of Finningham, along Walsham Road. That one finally closed in 1984. You are looking for an unusual style of nano cache.